FROM 80 Eastbound. (Coming from west of Ledgewood), take exit 28 (Ledgewood, Route 10); this will put you onto 46 E. Continue to first traffic light (a U turn for Lake Hopatcong and Rte 80). Almost immediately after, you will see a sign for "Main Street". Follow this and turn onto Main Street, Ledgewood which will veer off to the right. Follow it almost until you get to Route 10. The King Store and King Homestead are the last two buildings on the left before you reach Route 10. FROM 46 Eastbound. (coming from west of Ledgewood). Stay on 46 E. through Netcong. 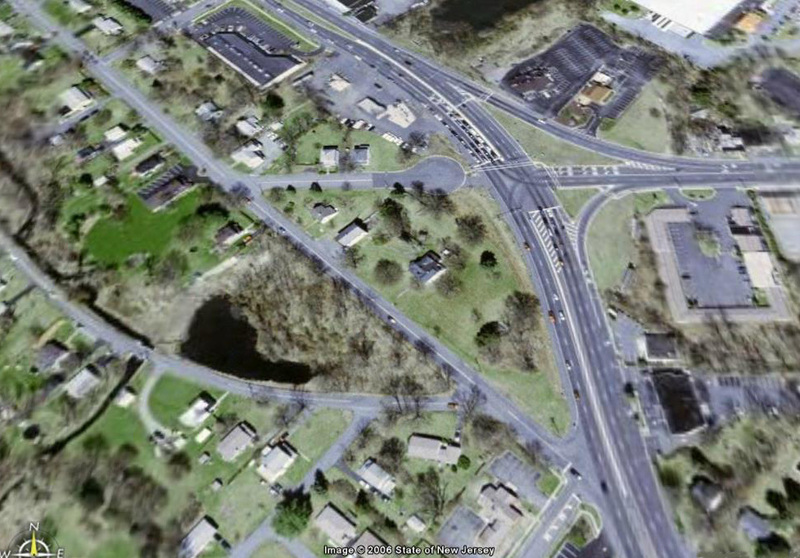 Continue to traffic light for a jug handle (for a U turn for Lake Hopatcong and Rte 80). Almost immediately after, you will see a sign for "Main Street". Veer right to follow this and turn onto Main Street, Ledgewood. Follow it almost until you get to Route 10. The King Store and King Homestead are the last two buildings on the left before you reach Route 10. FROM 10 Westbound. Proceed to traffic light at old Ledgewood 'Circle'. Route 10 ends here and you will continue on to Route 46 W. Stay in the center lane. After the traffic light the right lane will end. Soon, another right lane opens; take that one and follow it to a jug handle. You will enter the right-most lane of the left-turn lane back onto 46 East. Almost immediately after, you will see a sign for "Main Street". Follow this and turn onto Main Street, Ledgewood which will veer off to the right. Follow it almost until you get to Route 10. The King Store and King Homestead are the last two buildings on the left before you reach Route 10. FROM 80 Westbound: Take Exit 30 (Howard Blvd), turn left onto Howard Boulevard Continue on Howard Boulevard to Route 46; turn right onto Route 46 W. You will pass a Sunoco station on right; proceed to traffic light at old Ledgewood 'Circle' but stay to the left (otherwise you will continue west on 46). As you approach the traffic light, get into the right-most lane of the two left turn lanes. You will turn left onto Route 10, but will then take the first right turn; this is a sharp right onto Main Street, almost doubling back. The King Homestead is the first building on the right. FROM 46 W (East of Ledgewood) Stay on 46 W past Howard Blvd/Commerce Blvd intersection. You will pass a Sunoco station on right; proceed to traffic light at old Ledgewood 'Circle' but stay to the left (otherwise you will continue west on 46). As you approach the traffic light, get into the right-most lane of the two left turn lanes. You will turn left onto Route 10, but will then take the first right turn; this is a sharp right onto Main Street, almost doubling back. The King Homestead is the first building on the right. 209 Main St, Ledgewood, NJ 07852 tel# 973-927-7603 or 973-584-7903. ©2006, 2013 Roxbury Historic Trust, Ledgewood, NJ. Please do not reproduce or use on another website without permission.